Pseudogenes look like normal genes but do not express any RNA or protein. They include supposedly crippled copies of known functional genes, LINEs (long interspersed repeats) and SINEs (short interspersed repeats).1,2 But in the article on pp. 55–71 [of CENTJ 14(3)], Woodmorappe shows how testable and repeatable science is displacing the evolutionary concept that pseudogenes are non-functional and that they can be used in establishing primate phylogenies.1 Some highlights are presented here. Pseudogenes are often referred to in the scientific literature as non-functional DNA, and are regarded as junk. But more scientists are now conceding that this is far from true for many pseudogenes. Failure to observe pseudogenes coding for a product under experimental conditions is no proof that they never do so inside an organism. It is also impossible to rule out protein expression based solely on sequence information, as DNA messages can be altered by, e.g. editing the transcribed RNA, skipping parts of the sequence, etc. Moreover, the inability to code for a protein useful to an organism hardly exhausts other possible functions pseudogenes may have (see below). Furthermore, there is a growing body of evidence that Alu (a SINE) sequences are involved in gene regulation, such as in enhancing and silencing gene activity, or can act as a receptor-binding site—this is surely a precedent for the functionality of other types of pseudogenes. Future studies on the one million Alu copies scattered in the human genome should reveal further regulatory functions of these elements. The persistence of pseudogenes is in itself additional evidence for their activity. This is a serious problem for evolution, as it is expected that natural selection would remove this type of DNA if it were useless, since DNA manufactured by the cell is energetically costly. Because of the lack of selective pressure on this neutral DNA, one would also expect that ‘old’ pseudogenes should be scrambled beyond recognition as a result of accumulated random mutations. Moreover, a removal mechanism for neutral DNA is now known. Evolutionists have used the finding of similar pseudogenes in various members of the primate order as evidence for human common ancestry with apes. There are major contradictions, however, between molecular and morphological phylogenies; and as Woodmorappe shows, DNA sequence similarities between pseudogenes do not create self-evident truths, but need to be interpreted. For example, they cannot tell us anything about their common ancestors, even if such indeed existed. A large fraction of most pseudogenes differ considerably from their alleged parent genes which makes the interpretation of the data questionable. Although some pseudogenes such as LINEs and Alus appear to be hierarchically shared between primates, others clearly are not. An example of such a discordancy is the sharing of SINE elements between evolutionarily more-distant organisms to the exclusion of animals of intermediate evolutionary derivation, despite the presence of intact homologous genetic loci in the latter. Pseudogene sequences are frequently exchanged. This complicates any interpretation of phylogeny. One evolutionary tenet is that pseudogenes such as SINEs and LINEs insert randomly. The independent insertion of such sequences in the genomes of two clearly unrelated animals should therefore be virtually impossible. So the presence of identical sequences at homologous sites in the genomes of two organisms unquestionably indicates common ancestry. However, the independent acquisition of both LINE and SINE elements at the exact site in different animals has now been demonstrated. Moreover, it has now been shown that these elements have insertion hotspots at specific DNA sequences, and at chromosomal cleavage/break sites in bent or coiled DNA. As the function of more pseudogenes is being uncovered by testable and repeatable science, it is evident that these genetic elements, which are copiously spread in the genomes of different organisms, have been created with purpose. The recent finding of insertion hotspots also clarifies how pseudogenes may have appeared to evolutionists as shared mistakes and now invalidates their use in phylogenetic studies. 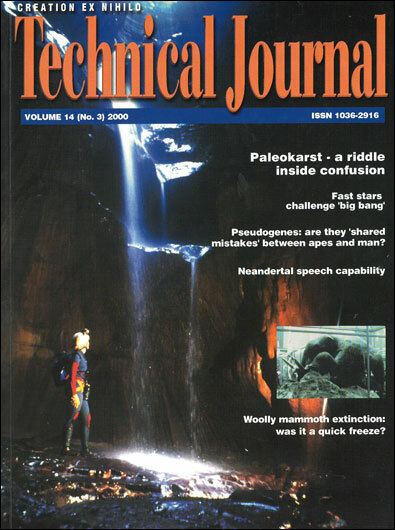 Woodmorappe, J., Are pseudogenes ‘shared mistakes’ between primate genomes? CEN Tech. J. 14(3): 55–71, 2000. Return to text. 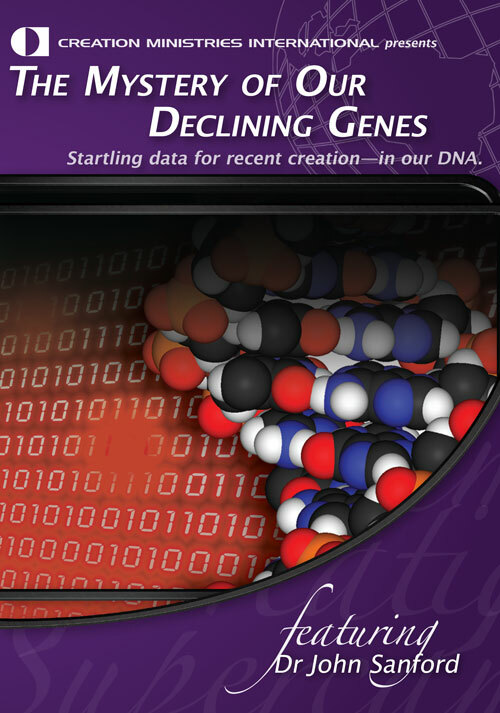 Walkup, L.K., ‘Junk’ DNA: evolutionary discards or God’s tools?, CEN Tech. J.14(2):18–30, 2000. Return to text.